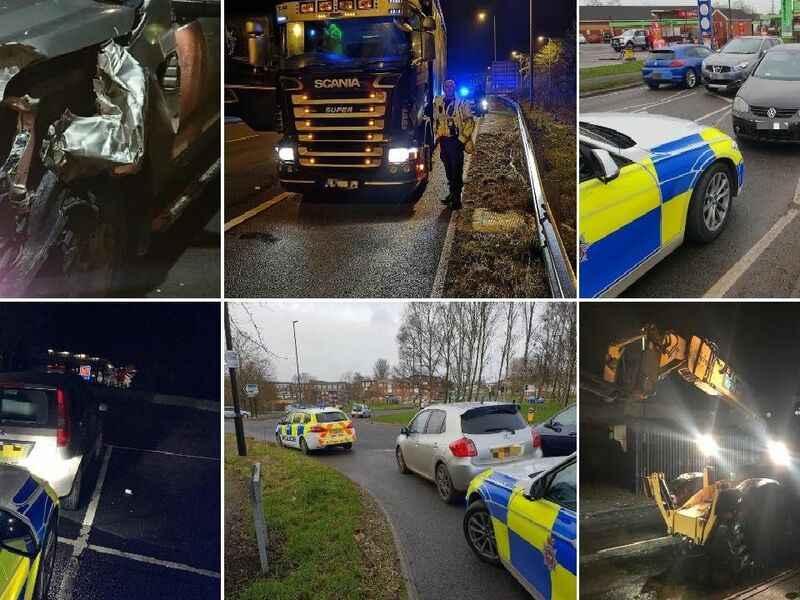 Police cracking down on driving offences in Derbyshire in an effort to make our roads safer have been tweeting pictures and details of every car they seize in the county. A50 Quick check shows no tax. Further check shows MOT expired in 2017, uninsured. Driver from Leicester just bought it. No ID so #MobileBiometrics fingerprint reader. Finally spills correct details, disqualified. Back to court. 2. How am I getting back to Barnsley? A50. Unsupervised provisional licence holder. Sharp edges and wheel nuts missing. Driver reported to court and asks How am I getting back to Barnsley? Google estimates its a 15 hour walk, so home just in time for Sunday lunch. Carr Vale. "Intelligence about a drink driver. We wait, he sees us and does a U-turn. Stopped, hes got a tinny on the go. Blows 112g roadside, limit 35. No surprise he is already disqualified until 2020 and uninsured. Arrested."